Dental implants have brought about a revolution in the treatment of missing teeth. Implants, despite being costlier than other restoration options, are drawing more and more people, because of the comfort and convenience they offer. However, not everybody makes the right candidate for dental implants, and diabetes is one common condition which makes the success of implants questionable. And truly speaking not everybody especially in the US or the UK can afford dental implants. According to a survey published by the US CDC in 2000, more than 44% of Americans did not have dental insurance during that time – which certainly increases the need for dental tourism. For instance Mexican dental tourism attracts thousands of patients especially from the US and Canada every year, who go to Mexico for cheaper and high quality dental treatments. 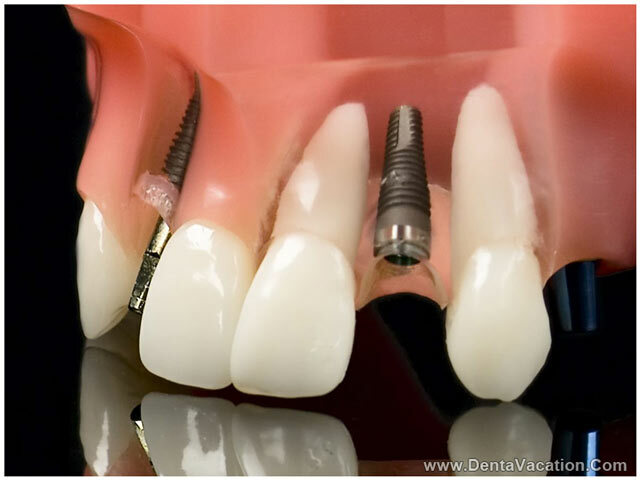 Placement of implants requires a minor surgical procedure, in which a metal screw is placed inside the alveolar bone, and then covered with an artificial tooth-crown. For the success of the implant, it is imperative for the implant to nicely fit in the bone (the process is called as osseointegration). If the osseointegration is not proper due to any reason, the implant will stay loose in the bone, and eventually fail. The use of implants in diabetic patients has been controversial, because excessive blood sugar interferes with the healing process, and bone growth, both of which are essential for successful implants. Even small wounds in diabetic patients take unusually long to heal, and any kind of surgical procedures are usually avoided. The incidence of post-operative infection is also quite high in people with abnormally high blood sugar. Since implants require a certain amount of bone for secure placement, in people with significant bone loss, bone grafts may be required prior to the placement of implants. In diabetics, there may be more resorption of bone after a few months. Though diabetes was considered a contradiction for dental implants till a few years back, recent studies have indicated that implants can be successfully placed in diabetic patients, if their blood sugar is kept under control. However, it is very important for diabetic patients to not only keep a strict control over their blood sugar prior to the implant surgery, but also maintain that control throughout the entire implant process. Besides, a course of antibiotics can be given prior to the surgery, and continued for a few days after it, to bring down the risk of infection. Even healthy patients have a significant risk of infection after surgery, and diabetics, whose healing ability is already impaired, have it even worse. Also, the patient must maintain very good oral hygiene and cut down on other adverse oral habits, if he has any. The periodontal health of diabetics is also generally worse than healthy patients, which makes the implant surgery even more complicated. However, it is not absolutely impossible to manage an implant in a diabetic patient. The success of an implant in diabetics depends a lot on the condition of the patient, and his commitment in maintaining the integrity of the implant. 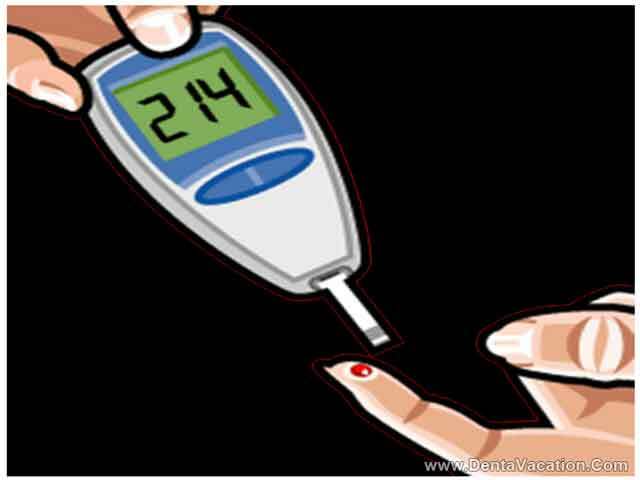 After care is required by all patients who undergo any surgery, but in diabetic cases, a little more effort is required to make it successful. Cost of dental implants in Tijuana, Mexico or in Delhi, India is very practical and pocket friendly. A patient could also get free quotes online which could help him plan his budget accordingly.